We’re right in between Halloween and Thanksgiving, but the Christmas advertisements have been at it since before Halloween and Walt Disney World has been preparing its holiday decorations since even before then. 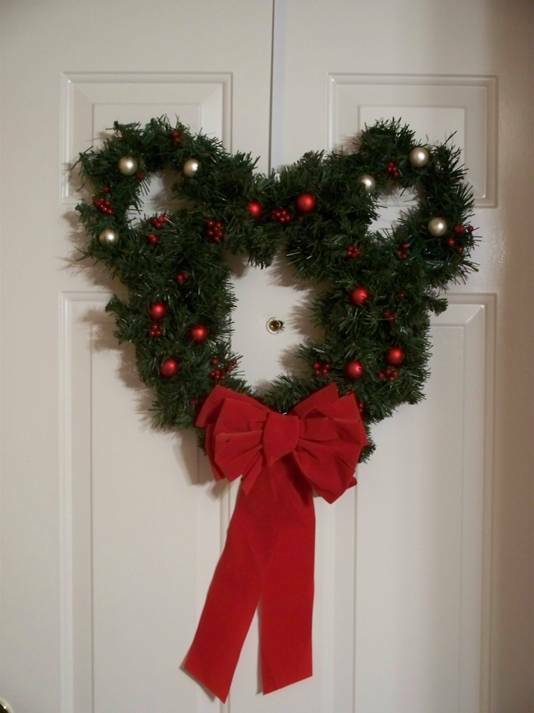 As I have done for the past several years, I’ll be hanging my Mickey wreath on the door very shortly, after freshening it up a little first, of course. As I have done for the past two holiday seasons here on the Main Street Gazette I’m going to publish the step-by-step of my construction so you can create your own wreath at home, should you like to. It is a fantastic activity to create the Mickey-eared wreath with the entire family, and I highly recommend playing Mickey’s Christmas Carol in the background as you work! For those of you interest, here are my original directions.